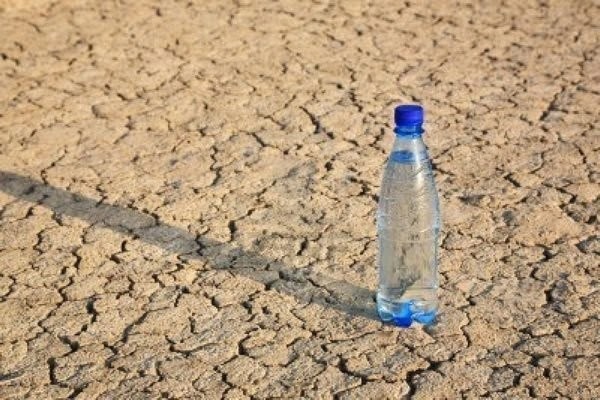 Do you still thirst, despite the famine being over? Water is fascinating. Our bodies are composed of about 60-65% water. We feel "thirst" after losing around 2-3% of our water. 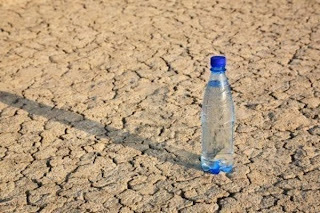 BUT mental performance and physical coordination start to be impaired before thirst kicks in, at around 1% dehydration. Dehydration can cause fainting, headaches, gallstones and numerous other ailments including death eventually! The daily recommended intake is around 8-12 cups of water a day. The scriptures often use water to symbolize revelation and the word of God (Deut 32:1-2, John 4:14). Who shall faint from the thirst? Why do they mention specifically "fair virgins" and "young men"? What is this emphasis pointing out? What are they thirsting? "a thirst of hearing the words of the Lord;"
Using our brief understanding of water above and the spiritual symbolism of thirst what can happen to our spirits if we do not refresh it with revelation and the word of God? When did the famine start? The famine started soon after Christ's apostles were killed. The prophetic keys were taken from the earth, leaving the world absent of a declared and authorized spokesperson of the Lord. When did this famine end? Fast forward to a spring morning in 1820. A young Joseph Smith has his first vision - "I saw a pillar of light" Truly the heavens opened to a young boy. "We testify to the world that revelation continues and that the vaults and files of the church contain these revelations which come month to month and day to day. We testify also that there is, since 1830 when the Church of Jesus Christ of Latter-day Saints was organized, and will continue to be, so long as time shall last, a prophet, recognized of God and His people, who will continue to interpret the mind and will of the Lord"
What a powerful short testimony as to what this gospel message is. The following video excerpt of a 2009 Conference address by Elder Holland, expands on the meaning of modern revelation. Elder Holland invites us all "to examine what we have received" of the Lord by way of modern continuing revelation and "to drink deeply of the well of water springing up into everlasting life" which I would suggest is the spiritual equivalent of getting our 8-12 cups of water daily. What have we received by way of modern revelation and how has it helped us? Elder Holland helps us a little in this video by focusing on the Book of Mormon, which though written by ancient prophets was written for us today and revealed in this modern era and is thus modern revelation. But also modern revelation comes in conference talks, announcements of missionary age reduction, the coordination and correlation of church affairs - the handbook, the restoration of priesthood blessings, a proclamation of the family, calls to "lengthen our stride" or "every member a missionary" and reminders that "no success can compensate for failure in the home". Do we get our daily dose of modern prophetic revelation by "drinking deeply"? There are some people that are not as blessed as we are to have such free and constant access to the copious amounts of "water" that we do. Are we drinking this living water or does it sit unopened, untouched while we grow spiritually faint - for even the very resilient and strongest of us all still need a constant daily dose of modern revelation.